Bruce Alexander is a London based actor. 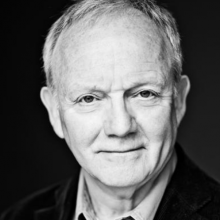 He has been acting for over 40 years with long stints at the RSC, the National and in the West End. Bruce is best remembered on TV as Superintendent Mullett in the many episodes of A TOUCH OF FROST, but has done lots of other shows such as LOVE & MARRIAGE and DOC MARTIN. He’s also been in many radio plays with the BBC, recorded several books for Naxos (being their voice of Socrates) and done several language books for the OUP. Most recently he was at the Arts Theatre in A VIEW FROM ISLINGTON NORTH with Out Of Joint and also at Hampstead theatre with WILD HONEY.